Changes are afoot in Missoula’s East Front Street neighborhood. 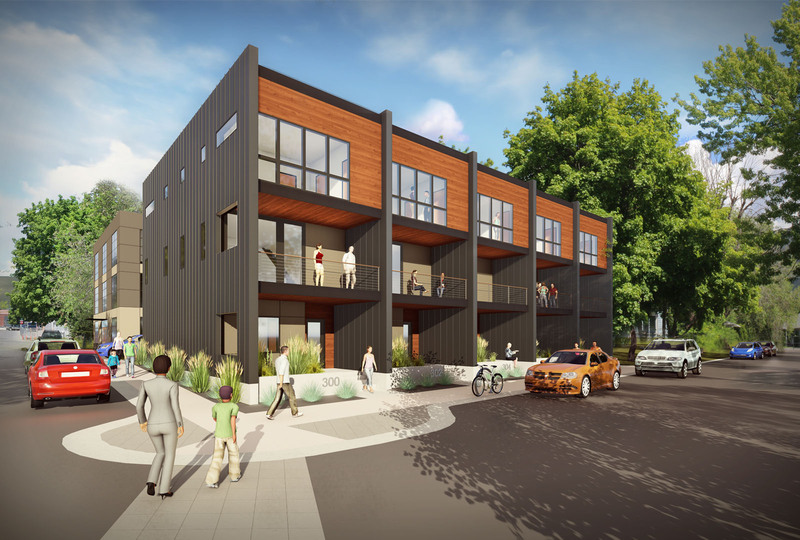 The Levasseur Street Townhomes and forthcoming Levasseur Street Apartments bring upscale downtown living to one of Missoula’s best neighborhoods. With unobstructed views to the Clark Fork River and Lolo Peak and just a short walk to the farmers market, the location can’t be beat. Each three-bedroom, three-bath 1,800 square foot townhome was oriented to take advantage of the views and light to the south. The ground level contains a one car garage and a spare bedroom. Up a generous stair, the open plan second floor houses the main living functions: kitchen, dining, and parlor. Two more bedrooms are located on the third floor, including the master bedroom and bath. 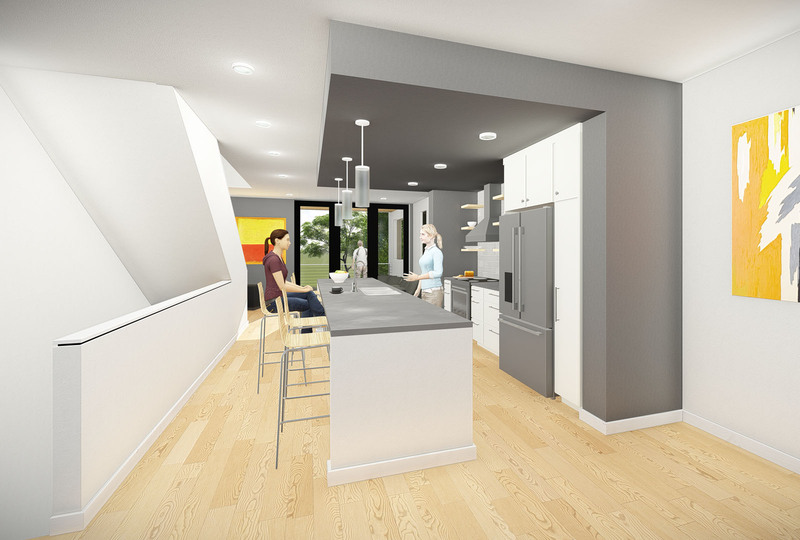 The shotgun floorplans take advantage of north and south daylight and views. The minimalist, contemporary aesthetic is warmed by natural wood accents at the entrances and porches. With this project we’ve taken an area of blighted student housing and developed an area of ownership, while also providing new apartments to serve the same type of tenants that previously existed here. 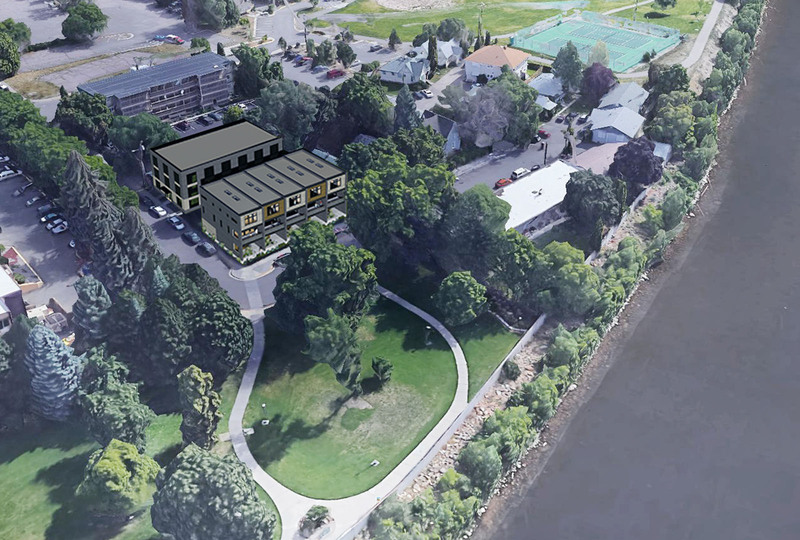 It’s a mixed-stream income approach, and it will bring some residential density to the downtown area that we are all hoping for.